What on Earth went wrong?! It takes a special set of circumstances to make a large-budget game as poorly received as Fallout 76, and for the life of me I can’t figure out what went so horribly wrong. 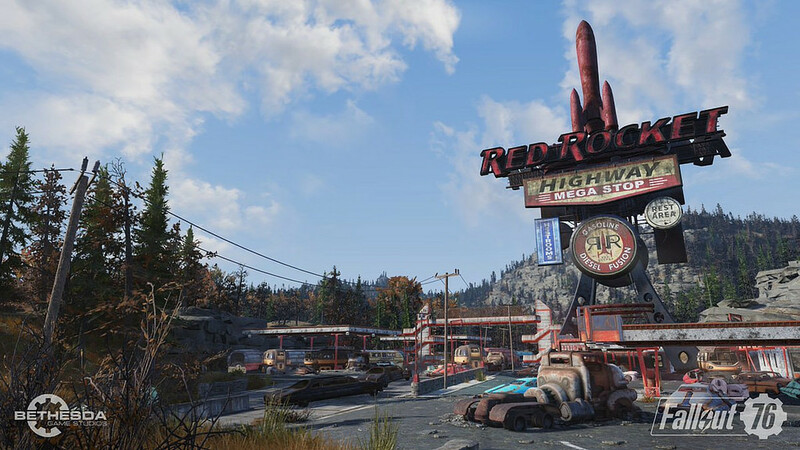 Since plenty of people have already talked about the game’s graphics, sound design, bugs and general production value, I’m going to focus on the underlying decisions that break the game itself, and the reason why even when everything works as intended, Fallout 76 fails to be any actual fun. I still believe that Fallout 76 could have been great if it chose any aspect and focused on it, but Bethesda has filled it with too many half-thought out ideas and gotten none of them exactly right so it doesn’t feel like it ever comes together. The survival elements are appealing, but when it’s so hard to die and the consequences are so minor, you can easily just ignore them and get through the game just fine. The multiplayer could have been great, but the world is too big and there’s no real choice or tension in the few encounters that actually happen, so you merely wave at someone before going on your way. Most people who know me know how much I love survival. I make it a point to survive at least once every day, and this passion for being alive extends to survival games. I was psyched for a proper survival game set in the Fallout universe, and it took me a while to figure out why I just wasn’t happy with Fallout 76. The survival elements are there, but without a solid framework tying them together, there’s no real point to them. Crafting, scavenging and exploring are all possible, but why? You don’t even lose your inventory when you die so there’s barely an incentive to stay alive, besides the minor inconvenience of having to walk from somewhere new. You don’t really need an incentive anyway, because it’s near impossible to die unless you actively try to. Bethesda’s decision to omit human NPC’s is a baffling one, and their absence is keenly felt. Fallout’s strong point has always been human interaction and storytelling, and while the environmental storytelling is a strong point (as we’ve come to expect from Bethesda), it’s not enough to keep anyone engaged with the game. The environmental storytelling leads you to a conclusion or a mystery, but there can never be any real payoff because there’s no possible way to confirm what actually happened. Fallout 76 gives you the start of an intriguing thread, but it doesn’t take long to realise that the thread was cut from the start. This emptiness is hammered home by the constant suggestion of NPCs through computer logs, voice recordings and hints as to where they’ve gone. Several quests are to track down another human character, but these have the foregone conclusion that they’ll be dead by the time you actually find them. This leaves everything feeling very bleak and pointless, which is a great attitude for the post-apocalypse but not a good way to make a game fun. None of this would have mattered if Bethesda hadn’t had the winning idea to begin with. People have been clamoring for a proper, multiplayer Fallout game since the original was released in 1997, so if Bethesda had nailed the multiplayer interactions and made it work, I have little doubt that players could have overlooked the rest. It should come as no surprise, then, that the studio completely botched it. Players are unable to actually initiate PvP combat without both parties agreeing (they can technically attack you, but the damage is so trivial that it’s the rough equivalent of an ant climbing on your shoe until you shoot back). This sounds like a good idea to stop griefing, but as a result, it means that surprise encounters are robbed of any tension. There’s no worrying about whether the person you’re trading with will suddenly pull out a gun and shoot you, and there’s no point even considering betraying them yourself. It’s not a sentence I ever thought I’d say, but Fallout 76 would be a better game with more griefing. If griefing was really possible, there would at least be tension, or fear, or anger, or any emotion at all. As it currently stands, the game drops you in a huge world with not enough to do and nobody to see, and inexplicably expects you to have a good time. Many games have problematic launches, only to be salvaged after a few patches and desperate changes. It’s tempting to say that Bethesda could still fix Fallout 76 and create something passable, but I just can’t believe that will happen. The flaws are far too ingrained in the game to be fixed; it’s no longer a matter of just adding some more story points or fixing the server issues. Bethesda’s best option at this point is to apologise, take the loss and do a better job on Fallout 5. Not every game can be a hit, but it takes some spectacularly bad choices to make a game this bad, especially given the source material. The most fun you’ll have with Fallout 76 is wandering around the shops when you go to return it. Cai reviewed Fallout 76 using a retail PlayStation 4 code purchased at retail. Cai is a journalism student, pop culture enthusiast and semi-rogue outlaw. He has a passion for classic science-fiction, 3D platformers, and Buffy the Vampire Slayer. He is in a co-dependent relationship with sleep deprivation, although neither of them want to admit it.